contact. World Civilizations organizes its presentation of global history into SIX COHERENT TIME PERIODS, with each period defined by the new and parallel patterns that evolved among all or most civilizations during the particular era. The six periods correspond to the six parts of the book. Within each part, the authors identify specific themes that characterize common experiences or common forces in individual societies as well as the new kinds and patterns of global contacts that emerged during the era. Thus, for example, Part I of the book discusses the developmental stage of world history, including the rise of agriculture and the development of civilization. Part II examines the classical era in global history, an era marked by the integration of large regions and diverse groups of people through overarching cultural and political systems. Subsequent parts of the book continue the emphasis on geographic shifts and the intensification of contact among civilizations. Peter N. Stearns is Provost and University Professor at George Mason University. Since 1967, he has served as editor-in-chief of The Journal of Social History. His numerous books include World History in Documents ; American Behavioral History ; and Anxious Parents . Stuart B. Schwartz is the George Burton Adams Professor of History and chair of the Council on Latin American and Iberian Studies at Yale University. His many books include "All Can Be Saved: Religious Tolerance and Salvation in the Iberian Atlantic World". 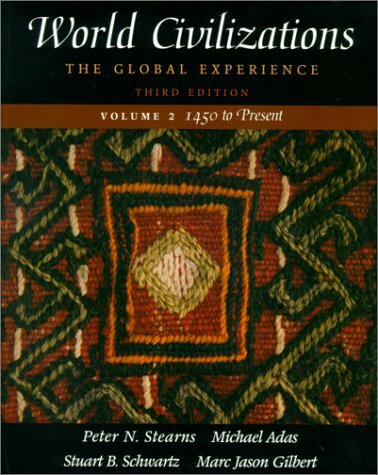 The End of the Classical Era: World History in Transition, 200-700 c.e.